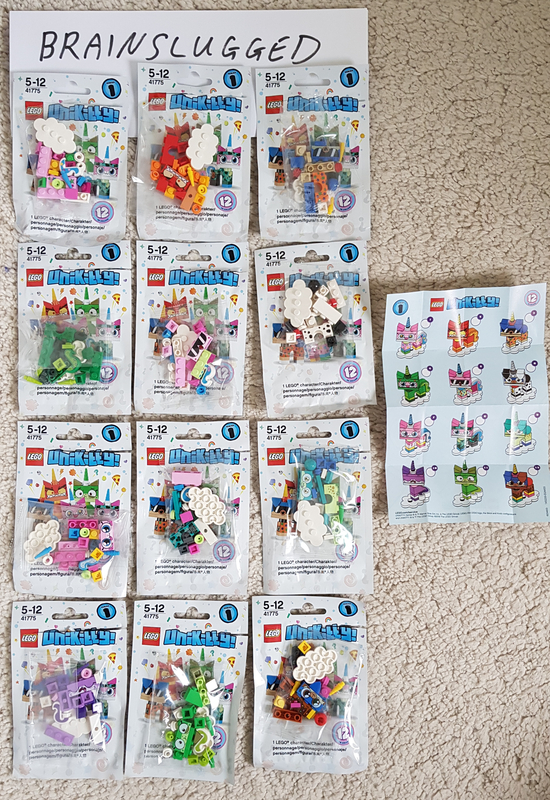 Hi - I have a couple of complete sets of Unikitty CMFs. I have carefully cut open the outer bag but inner bags and leaflet are sealed/undamaged. £55 total including registered postage (per complete set). I'll send out same day or day after depending when I'm contacted. Bump. I can also chuck in an unopened series 18 CMF Policeman for another £15 if wanted. Bump - I just sorted another box of Unikitties and have three more complete sets. Hit me up via PM if anyone needs a set. Bump. Two full sets of Unikitties left. I bought a set from @Brainslugged they arrived quickly, well packaged. A good person to buy from. Can you ship to the US? ^Sure. I'll send you a PM. Thanks for the recommendation, @historyman. Glad they arrived safely. Still got two more complete sets ready to be shipped out if anyone is interested. Thanks, @drlmiles1 and @Mr_Hobbles. In my limited experience dealing with people on Brickset as both buyer and seller, it's a great place to restore your faith in humanity. Its always nice to trust strangers and to have that trust vindicated. I have one final set ready to send out. Any takers before I close up the Unikitty store for good?